When you want to refurbish your whole house, it can be difficult trying to decide where to start. You have a vision for each room; yet, you know it’s going to take time and cost money to make your vision a reality. If you’re strapped for time (and cash), then how can you improve your home? There’s no reason why you should have to settle for second best. Everyone should be able to live in the home of their dreams. All you have to do is plan and take your time. See how the minimal can maximize the entirety of your house. When it comes to refurbishing your home, sometimes it’s the details that can truly transform a house. Here’s how simple details can improve each room of your house. One of the most used rooms in the house; therefore, many want their kitchen to become center stage. Simple changes include the changing pulls and handles, repainting the walls, and refacing cabinets or swapping the doors out for new ones. If you have more money to play with, then changing the faucets, appliances and the countertops can greatly enhance the kitchen’s overall atmosphere. Replacing the light fixture can also greatly improve the ambiance of the room. If you’re a big fan of hosting dinner parties, then investing in a beautiful wooden dining table and chairs can be greatly beneficial. From there, buy impressive and beautiful table cloths or a runner, placemats and a centerpiece that’ll spark conversations. Again, paint the room and if you’ve got wooden floorboards, buy a rug to bring the room together. Keep any sideboards free from clutter, and have a vase of fresh flowers in place. You living room is for you to relax and unwind in; you want furniture that is both comfortable and stylish. 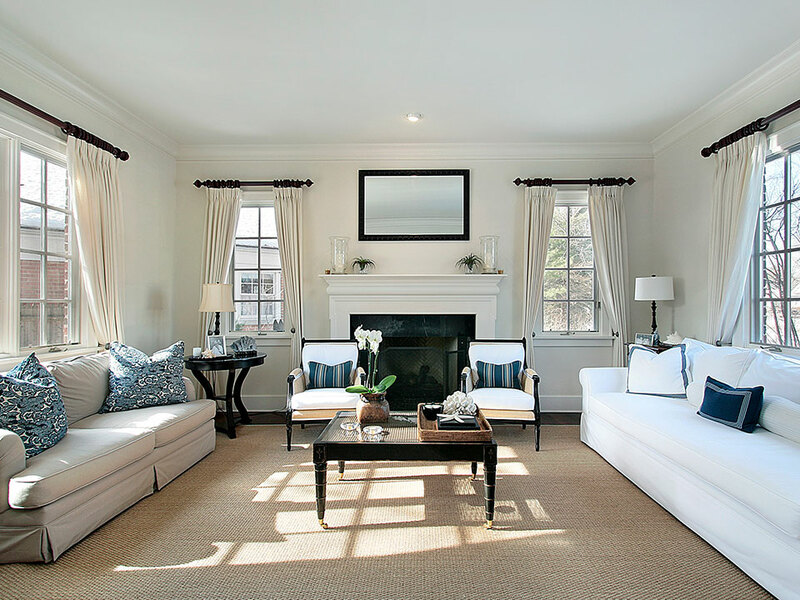 You also want to ensure the arrangement of your furniture is beneficial to the overall layout of your room. Replace the lighting, repaint the walls, and swap out any possessions you’re bored of with new ones. Include a rug, hang some artwork, and replace cushions and blankets. Otherwise known as your haven, your master bedroom should be the comfiest and most relaxing place to chill out. Replace the duvet and pillows, and the bedding. You could also replace the headboard, and place patterned wallpaper in unusual places such as the middle of your closet door, your nightstand and the edges of your chest of drawer. Place a fluffy rug at the end of your bed, change the curtains and Feng Shui. Keep your room decluttered, and improve the smell of your bedroom. Opt for a clean fragranced candle, so it can help you sleep at night. Although, technically not a room, the garden is incredibly important and should be included in your house’s refurbishment. Replace any broken fencing with a brand new, decorative garden fence, and plant flowers that are colorful and radiant. Invest in outdoor furniture that’ll withstand all weather, and clean any pavement or decking. Transform your home with these simple tips, and watch as your house turns from dull and drab to beautiful and new. You don’t have to go crazy when refurbing your home, you just have to look at the details and include them within your décor. Here’s how to transform each room without breaking the bank.